As much as I travel, there are certain subject I simply cannot speak to authoritatively. As an American, I’m in one of the best positions to travel in terms of getting visas to other countries. Many people in the world are not so fortunate. Getting visas to travel if you live outside of Western Europe or North America can sometimes be a nightmare. I’ve asked Savi and Vid, two Indian travelers, to tell their story of how they travel as citizens of India and have overcome the problems of getting visas to other countries. There are lessons to be learned here for citizens of many countries who have difficulty getting visas to travel. There is no dearth of inspirational travel quotations on the internet. Every once in a while, we stumble on something that reads ‘Pick a bag, book a ticket, and go traveling ’ or ‘Book a ticket and follow your dreams’. We’re pretty sure the said quotations and accompanying photos of faraway lands have tempted many a globetrotter out there. But we’ve learned to toss them aside with a smile. It’s not because sepia-tinted photos of turquoise beaches and curvy roads don’t tempt us – it’s because we can’t just pick a bag, choose a place on the globe, and get going. We love travelling and visit more than 10 countries a year on an average. But we’ve learned to accept that the phrase ‘spontaneous travel’ is a bit of an oxymoron for us. This is because traveling on an Indian passport is a carefully orchestrated operation involving endless salary slips, proofs of address, bank statements, and letters of employment. No, we are not exaggerating in the least. While US and UK citizens can travel to over 170 countries without a visa, Indian citizens can travel only to 28 countries without a visa. Another 30 countries issue visas on arrival to Indian passport holders. It’s worth pointing out that this list of 58 countries includes a number of politically troubled or geographically remote nations such as Antarctica, Tuvalu, Djibouti, Iraq, and Tajikistan, which are off limits for most people. We’ve never let this deter us from traveling (42 countries, 300 cities, and counting) but the whole visa situation makes it very hard for us to follow our dream of traveling full time. This is because of visa applications for Europe, the Americas, Australia, and most of Asia and Africa request credible proof of full-time employment and sufficient funds to cover one’s travels. Our American and British friends are often left aghast at the kind of paperwork that goes into applying for a single visa. Our visa-laden passport booklets (5 going on 6) are a constant source of amusement for them. Over the years we’ve spent a lot of time and money procuring visas for various countries. We’ve had to cancel flights and entire holidays because of visas being turned down or simply not getting the visa on time. Here’s what we’ve learned along the way – we hope these tips come in handy if you travel on an Indian or Asian passport. If you’re struck by wanderlust, nothing can stop you from traveling. It’s really as simple as that. If the thought of applying for a visa intimidates you, why not start with countries that have relaxed immigration rules? A number of culturally rich nations offer visa-free travel to Indian Passport Holders while others offer easy visas on arrival. Many of the Caribbean islands, Cambodia, Seychelles, El Salvador, Ecuador, Bolivia, Bhutan, Myanmar, and the Maldives amongst many others allow visa-free or visa-on-arrival facility to Indians. Some of our favorites include Cambodia, Thailand, Kenya, and Mauritius. We’ve spent a long time exploring the by lanes and alleys of Thailand, acquainting ourselves with locals in tiny villages in Cambodia, and sampling the street food of Mauritius. Countries that are geographically close to India and allow visa-free travel for Indians such as Sri Lanka, Nepal, Maldives, and Seychelles are definitely some of the easiest ones to visit. It helps that they offer such diversity in terms of culture, history, and food. Out of the more popular destinations like Australia, USA, UK, and various European countries, we find it’s best to visit countries grouped under the Schengen area. You apply for 1 visa and if granted, you can visit 26 countries using the same visa. Procuring the Schengen visa is a fairly long and expensive process. Short-stay Schengen visa applications cost around £75 (?7,460) and it can take around 2 weeks for the visa to arrive. Everything from hotel stays to connecting flights need to be booked in advance and submitted with the visa application, so there is little room for spontaneity. 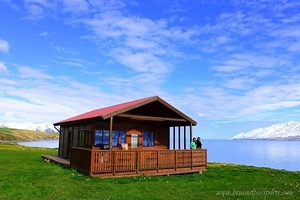 Iceland is a Schengen Zone country. 1 visa gets you entry to 26 countries! Do keep one very important thing in mind – Visa fee is the same for single, double, and multiple-entry Schengen visas! Make sure you request for a year-long multiple-entry Schengen visa in your cover letter to the concerned Consulate. Once you have multiple entry visas, you can plan spontaneous trips to any of the Schengen countries and stay there for a period of 90 days. We have found applying at the French consulate in London has been the best avenue for getting a year-long multiple entry Schengen visa. In fact, on a couple of occasions, we have actually planned a trip to Paris just so we could get multiple entry visas – the added bookings were totally worth it. Some of our favorite Schengen countries are Iceland, Spain, and Italy. 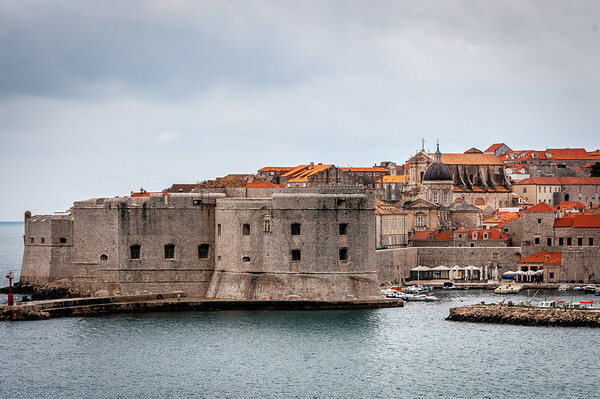 Outside the Schengen countries, Croatia is one of the most scenic countries we have visited and you do not need to apply for a separate visa IF you have a multiple entry Schengen visa! As for the procedure for applying, it’s pretty much the same for Australia, UK, USA, and the Schengen states: You MUST make them believe that you have no intention of staying in their country. You should provide whatever documentary proof you can to prove this – detailed tax records, salary slips, proof of employment, address proofs – you name it. Except for UK, you also need to provide confirmed bookings for travel and accommodation. However, these visas can be acquired only if you have proof of full-time employment. It is near impossible for Indian Passport holders to acquire visas without proof of employment. You must also be able to show enough funds to cover your expenditure when traveling – usually this is £50 (?4,973) per day for the duration of your visa so if you are requesting a multiple entry visas valid for 3 months, you must be able to show that you have at least £4500 (?447,583) in your bank account. Croatia is not in the Schengen Zone, but if you have a multi-entry Schengen visa, you can enter. Tourist visas for Australia and UK are usually valid for 6 months but the best thing about the US visa is that it is valid for 10 years. Short-term visas can cost anywhere from £75 (?7,460) for Australia and the Schengen countries to £100 (?9,946) for UK and USA. A tourist visa for the USA might be the most difficult to procure, but if granted, is definitely the best value for money. It’s good to accrue what we call “Visa Brownie Points” – the more visas you have, the easier obtaining visas gets in the future. In addition, having a resident permit for UK, USA, Canada, Australia, or any of the European countries definitely improves the chances of getting visas for other countries. It might be expensive and cumbersome to travel on underprivileged passports but that doesn’t make it any less fun. We absolutely love acquainting ourselves with new cultures and making friends around the world. Nothing comes close to the feeling on being on the road. A gentle reminder – while we have tried to make sure that all information is correct, always confirm details from the consulate of the country that you are planning to visit. Often their official websites are not up-to-date, so we always send an email to the consulate to verify details. You can also refer to these wiki pages for a general overview: Visa requirements for Indians, Filipinos, and Malaysians. Savi and Vid are avid travelers struck by wanderlust. They have driven with zebras in South Africa, been caving in Austria, cavorted with Bedouins in the Sahara, befriended soldiers in Israel, and partied in a nuclear bunker in the Czech Republic. 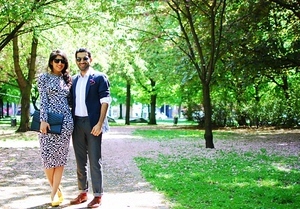 They blog about their travel and fashion adventures at BruisedPassports.com. Their favorite city is London where they currently live. Hey VID can you tell which country provides e visa, visa on arrival and visa free entry to indians?? hey Vid,..Really interesting article about your journey.. I am working right now and apply for USA visa and get rejected…Earlier i have never travel abroad and this is the first time i have applied..could you please guide wether i should reapply..or start with some other countries..like for Schangwen Visa. Many Indians and people from non western countries can identify with this. Thanks for sharing. I went on a four months long solo trip to South America. This trip has profoundly changed me. I had many difficulties, specially because I was travelling with an Indian passport. But through the journey I struggled, learned and had a lot of fun. I am Indian working in Saudi. It’s very simple to get US, UK or any schangen country visa over here. I got my is visa in 3 days. Only a letter needed from the employer here and 3 months bank statement. That’s it… Getting a Malaysian,Singapore, China, visa is so easy here for Indians. Just a letter from employers is needed. Bank statements are also not necessary. All the sourinding countries including Lebanon and Georgia, Indians can get voa on showing Saudi residence permit. Hi vid , Iam from India and currently iam on a student visa in US, i would love to travel to europe , whats the process to get a schengen visa and will i get a schengen Visa as iam a student ..
Hi ! I am indian citizan n on my indian passport no any country visa stamp till date. I want to get recently information of visa-on arrival country n visa free country of south america n central america. How Can we get ? When we get this visa ? Is Any specific time to get tht visa or get it any time in a year? I heard tht if you want this visa you hv to get first USA visa than indian citizan can get entry in those countries. Is it true? If not than how can we get it ? Indians can travel to India without Visa ???? I never knew Antrarctica is a nation? Hi, I like to know which countries exempt visa if I have 10 years visa for Mexico. I am an Indian passport holder. Also please inform the countries that can issue visa on arrival if I have 10 years Mexican visa.? Very interesting blog indeed. Wish you good luck. I am an Indian citizen having a valid Schengen Multiple Visa stamped in my passport. I wanted to enquire which other Non EU countries and Latin American countries can I travel/visit with this visa. This post is very educative. Many thanks for sharing your experiences. I am desirous of travelling to France as a first time foreign traveller. I will be producing my air tickets and advance hotel bookings. The sufficiency of funds shall also not be a problem for me. However, I wonder whether the fact that I am going to be a first time foreign traveller, more so to a European country, can go against me. Would you advise that before applying for the Schengen visa to visit France I should visit one of the countries which have a visa friendly regime for Indians? so I can say that its some of peoples mistakes thats why no one believe on indians & they are doing right with us. I’m a passport holder,but I want to job in foreign country,but many companies give you appointment latter after than online interview…!! Can I apply visa after appointment latter…..? If it’s possible than how foreign company Help me for visa…? 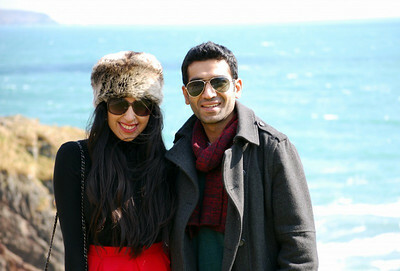 Vid and Savi are very inspiring travel bloggers. Yes, I know its tough to travel on an Indian passport, but as always if you want something just go for it. How true. My worst experience was when the Italian consulate wouldn’t process my visa for solo travel, without a ‘No Objection’ letter from my husband!!!! Thanks for sharing this information. This is really important information for Indian travelers especially for those who are planning trip on their own. Nicely done, Savi and Vid! Just wanted to point out that you don’t have to be employed “full time” to get a visa to Australia, Europe etc. I’ve been a freelancer for over 3 years now, and have scored plenty of visas! These are true, of the 30 odd countries I visited, it is difficult task to get visas. Very few countries welcome us wholeheartedly rest of them show long faces. Cyprus being an island nation welcome Indians.carrying old passports is a good idea. Aye, we love travelling more than anything else in the world! The new government in India has done a lot for expats who wish to travel to India in terms of visa applications. More recently, India facilitated Visa On Arrival for 70 countries at a go. Tourism is one of their core focus segments now. Such a relevant topic right now. As an Indian travel blogger, I know how nerve wrecking it can be trying to plan a trip and getting every booking in place, navigating the multiple visa forms and stipulations, ensuring your application is complete (often it comes back only because the consulate didn’t provide the right info) and then the nerve wrecking wait for the visas to arrive. It’s almost impossible to take a spontaneous trip anywhere (interesting). Thanks for sharing this. Great story of inspiration. I didn’t know it was so hard for Indian travelers it seems they are making a way. Thanks for sharing!! 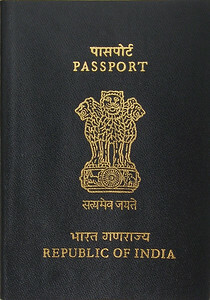 I didn´t even knew that it´s so hard for citizens with an Indian passport to get any Visa..thats rrally annoying I think!! The world should be much more open for others who wants to travel and visit other countries!!! In reality we don’t realise how lucky we are to be able to pick up and travel as and when we feel like it in the UK. I do however, remember trying to gain my Visa for India being an absolute nightmare and hated the fact that my passport was taken from me in order to obtain the Visa. So I don’t envy you this process each time you would like to travel. I hope that in the near future, your days of travelling will be a lot easier. Good read:) Always an interesting topic and something people over look. I have many friends from various countries and they always remind me how fortunate I am to travel relatively carefree to any country I’d like. I remind myself to make the most of it and travel… a lot! I understand how hard it can be for you guys to get visa. I am from Iceland and I never even thought about getting visa in advance until I came to Nepal and had a conversation to a friend there who explained to me what you are saying. It can be crazy sometimes the rules and paperwork you have to follow to be able to get a simple visa. Best of luck with your future travels, I hope you enjoyed Iceland. Thanks for taking the time to share this practical AND eye-opening article. We are constantly reminded of some of the privileges we receive galavanting around the world as US citizens, and we are constantly embarrassed as we witness the unfair–or at least inconsistent–practices imposed by our own country and others. You only realize how lucky you are for having a EU passport when you compare yo other countries! Yes, yes, yes. EU passports are the best! 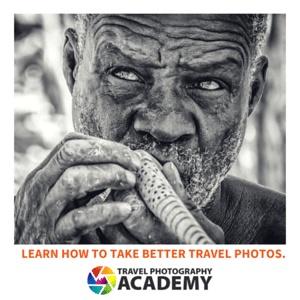 These guys enjoy their life by travelling to different locations and all inspiring the other’s…great post keep it up. So true! It is really annoying especially when you are already traveling and cannot extend the trip to another country. Like I’m planning a trip to US and would like to stop over at London to meet a friend. But apparently I cannot apply for the UK visa from US so I have to come back to India and go through the damn process and spend double on tickets! Damn!!! RZ we hear you – been there, done that. It’s really annoying! This is really interesting! I’d never really thought about how much freedom a UK passport gives me until I suggested a spontaneous weekend in Paris to my (Malaysian) flatmate and she pointed out that she’d have to get a visa and it would take ages. I’ll definitely be checking out Bruised Passports- it’s really interesting and important to step away sometimes from the very US/UK/Aussie focused travel blogging world and see a different perspective. So true! Love Bhutan, its amazing place to visit. Thanks for having us over :) We hope this is helpful for other travellers from Asia ! Thanks for introducing me to the Bruised Passports website! Me and my wife are fellow bruised-passport-holders from Pakistan. There are a total of 6 countries in the world that allow visa-free access on a Pakistani passport and another 20-odd allowing visa on arrival, but we are so battle-hardened that we apply for visa in advance even in those countries, to prevent any surprises at the immigration desk. I loved reading the post above and exploring the website, because there was so much I could relate to. Schengen is definitely one of the more difficult visas, especially since they require travel and hotel bookings as evidence. However, there are many hotels that allow you to cancel that booking without a charge. Applying for these visas is definitely a big headache, but a necessary one for people from the third-world. We are so far undeterred and have traveled to around 15 countries. We just returned from a fantastic two weeks in Tanzania / Zanzibar. Indians have one great advantage over the rest of the world: they don’t need a visa for Bhutan whereas everyone else needs to book an expensive package. It’s a shame everywhere else isn’t as easy.